I didn’t intend to be releasing this pattern near midnight but, well, that’s just how I roll. 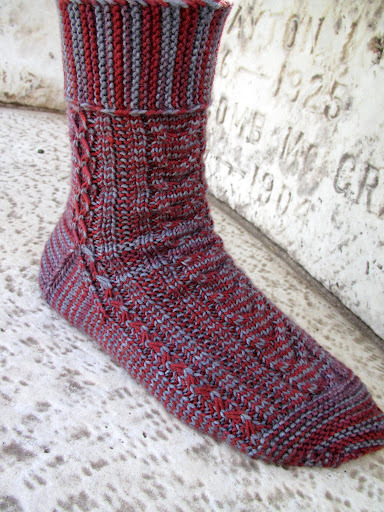 Ladies and gentlemen, please meet my brand spankin’ new sock pattern: Fiasco. These socks are the first in a series of (forthcoming) patterns inspired by one of the greatest sitcoms of all time: How I Met Your Mother. This design is based on Ted Mosby, the adorable, luckless-in-love architect who refuses to give up on his hopes and dreams despite all the twists and turns life throws at him (and who can tell one heck of a long story). 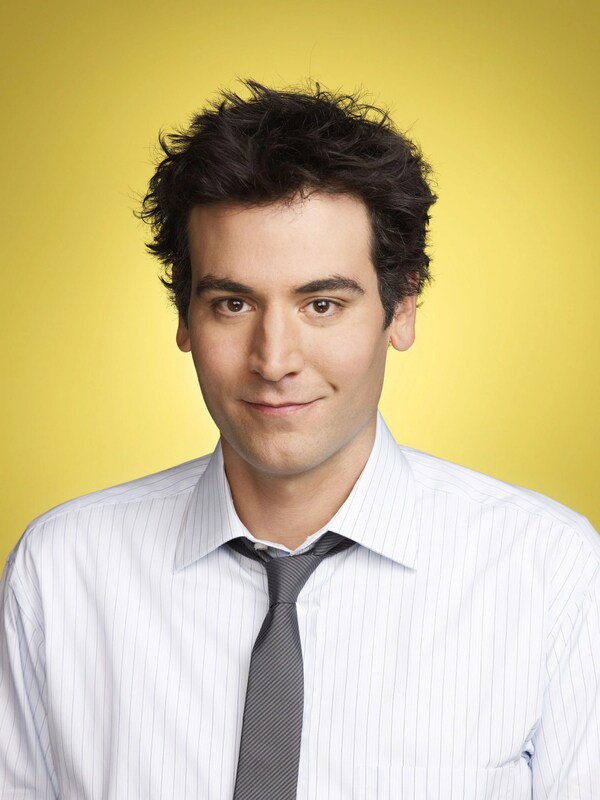 Meet Ted! Who wouldn’t love that face? Photo from here. 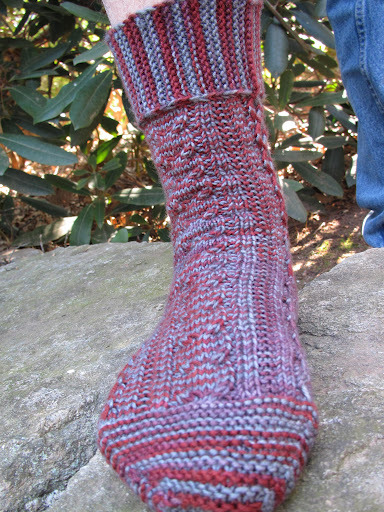 The socks are knit cuff down, with the garter stitch cuff knit sideways and joined together. The pattern includes a photo tutorial detailing the steps for the cuff. The rest of the sock is a mix of textured ribbing, slipped stitches, cables, and a garter stitch heel and toe. Because of the garter stitch, these socks are extra squishy and cozy. The cables provide some structure to the fabric while the garter rib allows for stretch. As you can see from the photo, the pattern works really well with variegated yarns, especially in the cuff where the change of direction causes some neat striping effects. I have to thank my dear Fiasco for being such a good sock model and grateful recipient of these socks. I also have many test knitters to thank (Angelina13, GayleP, KnattersKnits, NanaMamah, and MaggieD on Ravelry) for their wonderful work and great feedback on the pattern. I’m excited to let this pattern out into the world! It is available for purchase for $4.50 in my Ravelry shop or you can click on the button below to pay directly through paypal. I really really hope you like it! This entry was posted in MyDesigns, socks, STR by shoelaceswitcher. Bookmark the permalink. I don't really like that show, my roommates are addicted to it and I'm kinda sick of listening to them watch it, but I LOVE those socks! The color you used it perfect for that pattern and I seriously am adding those to my queue. I can't wait to see what else you have in store, you are quite the designer! You don't like the show?! We can't be friends!! Haha, just kidding.